Manly is one of the few Sydney suburbs that have access to not only Sydney Harbour but the sea as well. So there are not only harbour beaches here but three ocean beaches with waves as well as one without (Shelly Beach)! So Manly, not only a great place to spend the day on one or more of its scenic walks, there are also a number of excellent restaurants here to end your day, or even a pub or two to have a family style meal. Middle Photo View from the ferry to Manly: The bridge, crosses over to North Sydney and beyond. 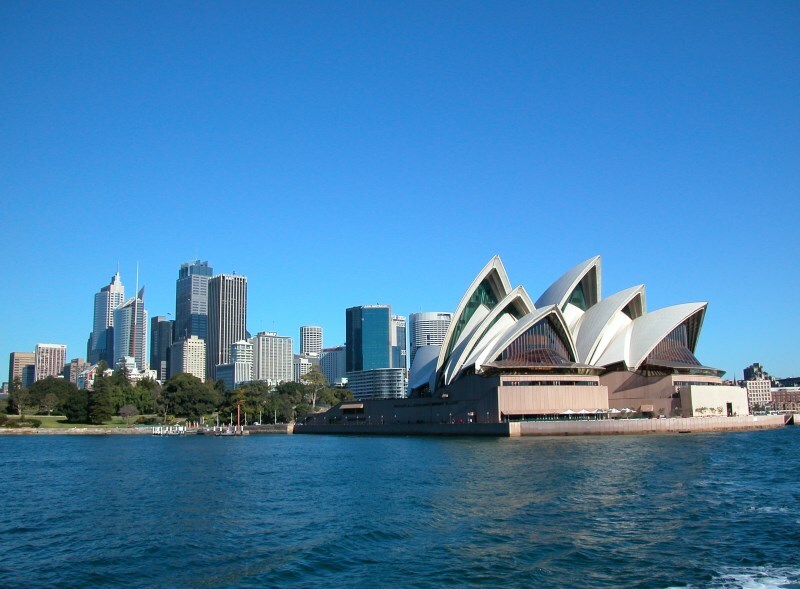 The Sydney Opera House is at Bennelong Point, while Farm Cove, the city (CBD - Central Business District) and the Royal Botanic Gardens can be seen on the left. 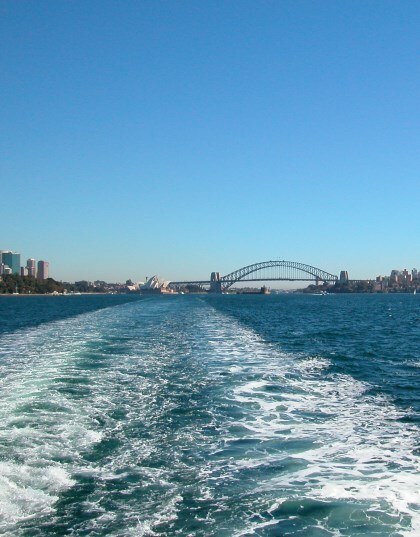 As Sydney grew into a city, the harbour played a key role. Yet, it has kept its beauty, there are those who say it is the most beautiful city harbour in the world. I would tend to agree. The parks line the foreshores and include the islands. See the City Central Map showing Circular Quay, The Opera House and the pylon entrance to the Bridge Map of Sydney CBD.